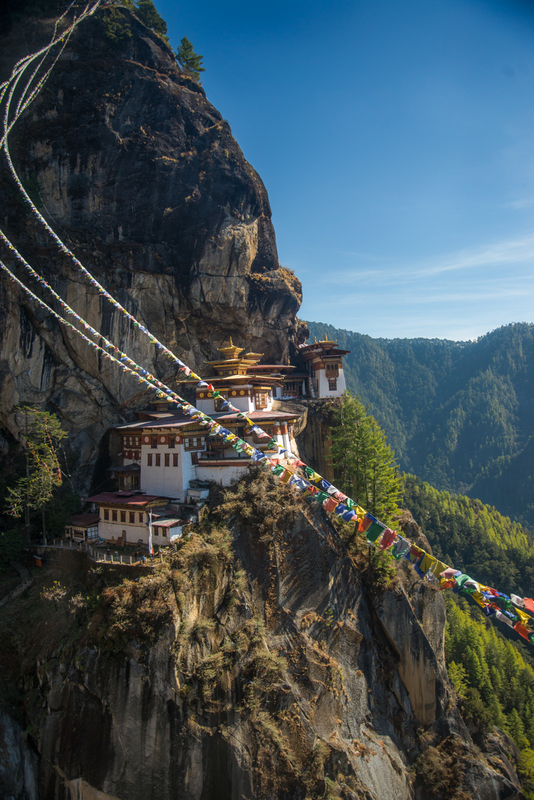 Book through travel agent- Crossing the border through Phunseoling and entering Bhutan seems like a very lucrative option for many, but beware that there are government regulations in place which bans the movement with non-Bhutan number plates beyond a certain limit. Additionally, there are many places that call for special permit which can be obtained only when booked through travel agents. Travel agents who are government certified are a means to support the economy since a part of their earnings goes to the government directly. They also provide transportation facilities and en English speaking guide. 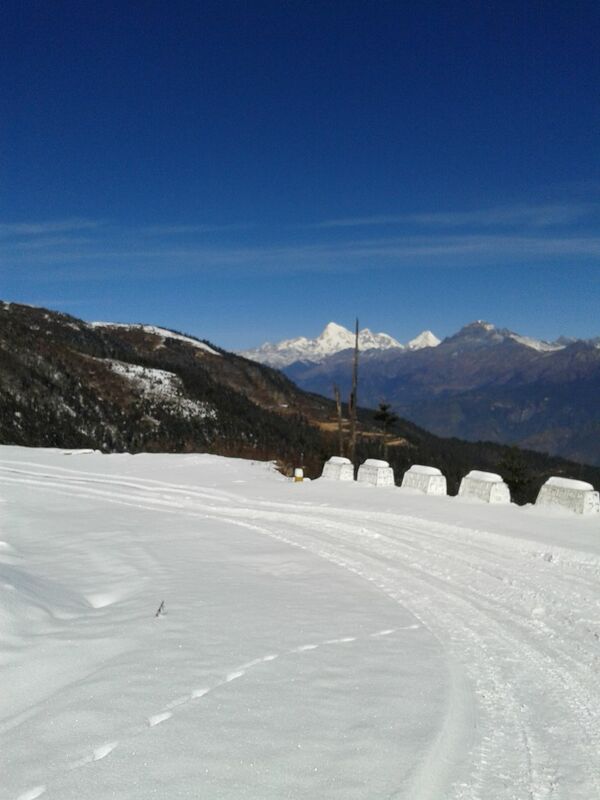 I booked through Sonam Trophel tours and I highly recommend them. Amazing hospitality and a very courteous and helpful owner - Pem Thinley. Flight bookings- Flights cost nearly 300 USD for a round trip if booked personally. But the catch is this - if booked through any Bhutan government certified travel agency, the same ticket costs 140 USD ! So take a smart decision and let them do the booking ! 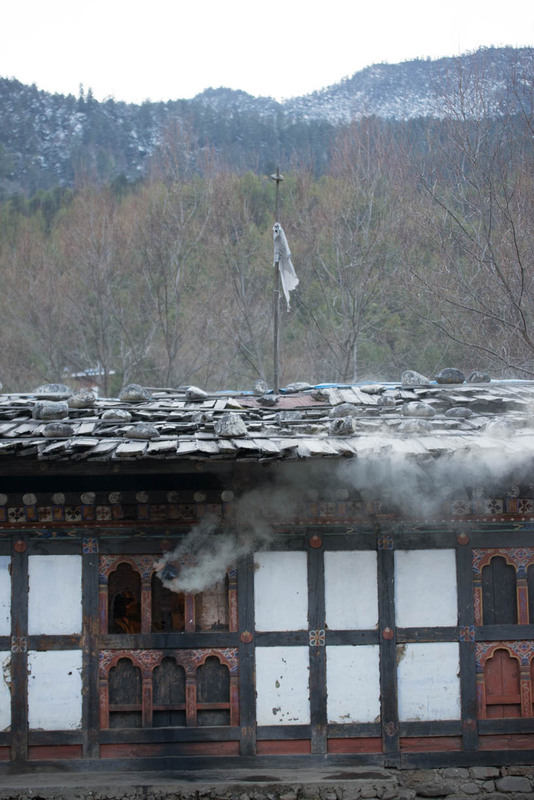 Weather- The weather in Bhutan varies from being sunny to bone-chilling cold. So be prepared and go with adequate winter clothes (if going in winter) and be sure to pack clothes which provide protection from wind. Also pack sunscreen and a couple of sunglasses for protection from the ultra-clear sunlight. Respect their culture and King - Bhutanese people are fiercely loyal to their culture and its mandatory for government officials to wear the national dress (Gho for men and Kira for women) at their workplace. Also, they worship their King and any sort of discussion where the autocracy is deliberated upon is not appreciated and shall attract frowns from them. So best to refrain from it. Remember to breathe-in the pure air in plenty because it’s pretty much a luxury in today's time where even an evening stroll takes a toll on the respiratory system. Thimphu- We landed at the Paro International Airport from Kolkata and headed to Thimphu for a 2N stay (due to some delay in airlines departure from Kolkata we reached Paro later than expected). The evening was spent exploring Thimphu on foot. This capital city is unique in the way that there are no traffic lights at intersections! All traffic movements are on mutual consent and needless to say, they rarely have any road accidents. 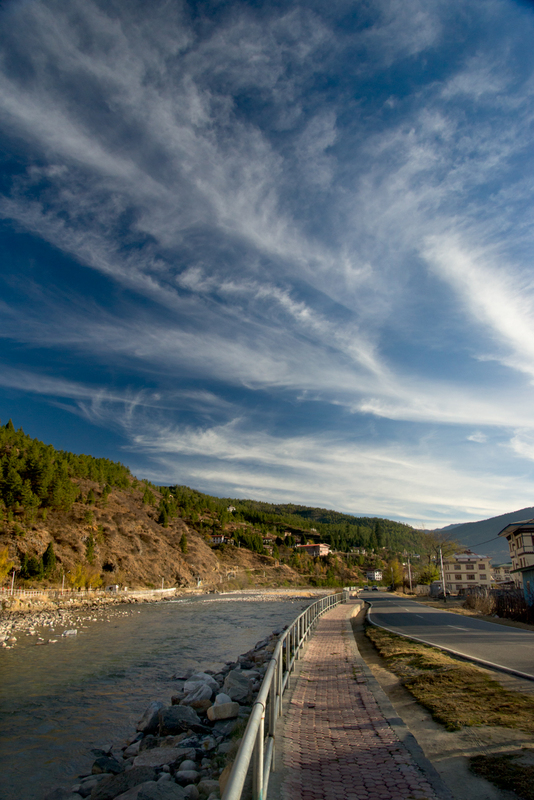 The next day was spent exploring the places in and around Thimphu. What a nice town full of spiritual significance. We got to see a giant Buddha statue which was still under construction. 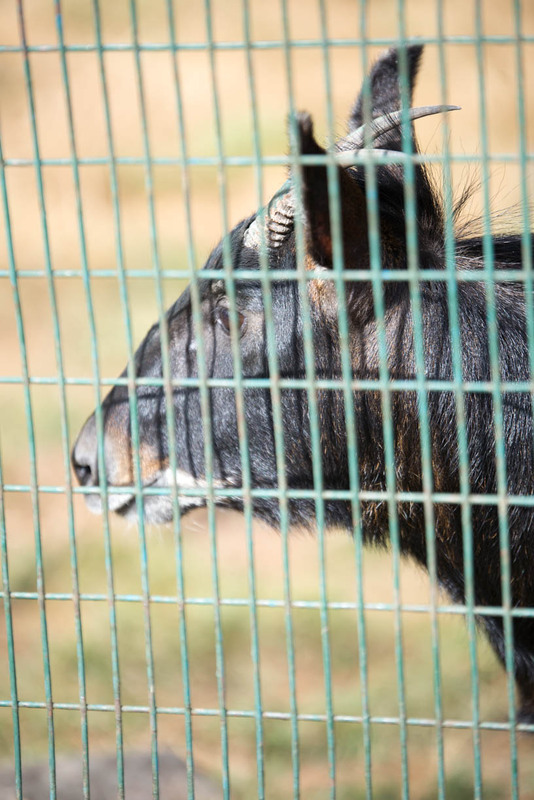 The 'Takin Reserve' is a good place to see some wild animals up close. Punakha- 5 hours driving through serpentine roads and stopping at numerous locations to click pictures and we ended up at Punakha. The moment we mountain roads ended and we saw the plains, our reactions were the same - our jaws were touching the floor. 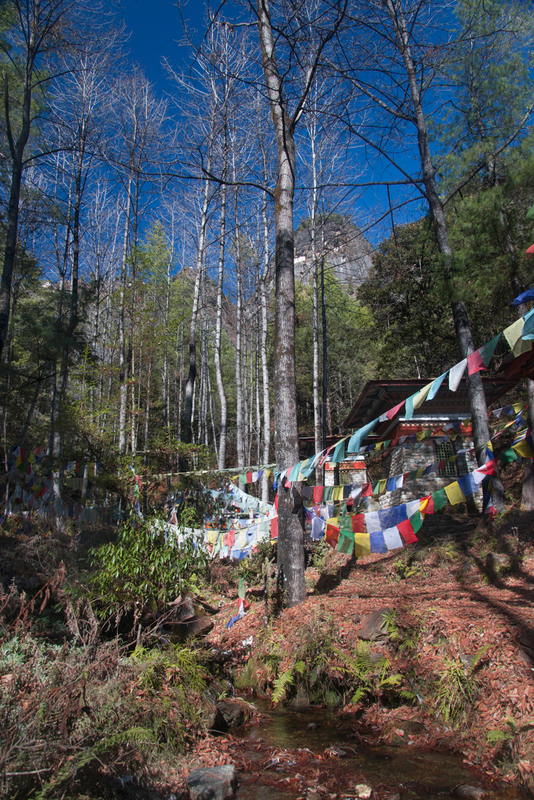 We did a short hike through the fields and reached the Chhimmi Lhakhang (temple). This temple is famous for its offerings to the gods in the shape of a phallus. There are souvenirs in the shape of a phallus and even homes have paintings on their walls of phallus. 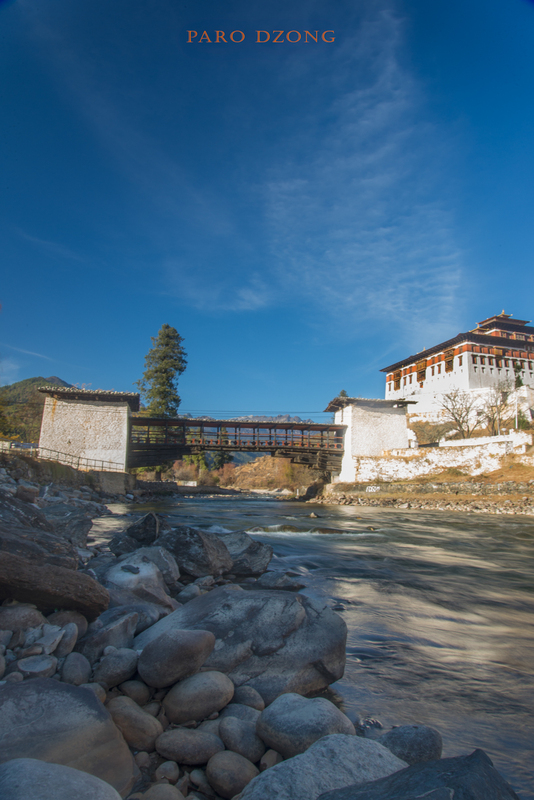 We also visited the Punakha Dzong and needless to say its a place from fairytales. A beautiful building surrounded by greenery on all sides and with a river flowing by; you can spend an entire day basking in its beauty and yet be left for more. The next day we went to Phobjika and saw the famous black necked crane. We ate traditional Bhutanese cuisine at a delicious restaurant and explored the surrounding areas. 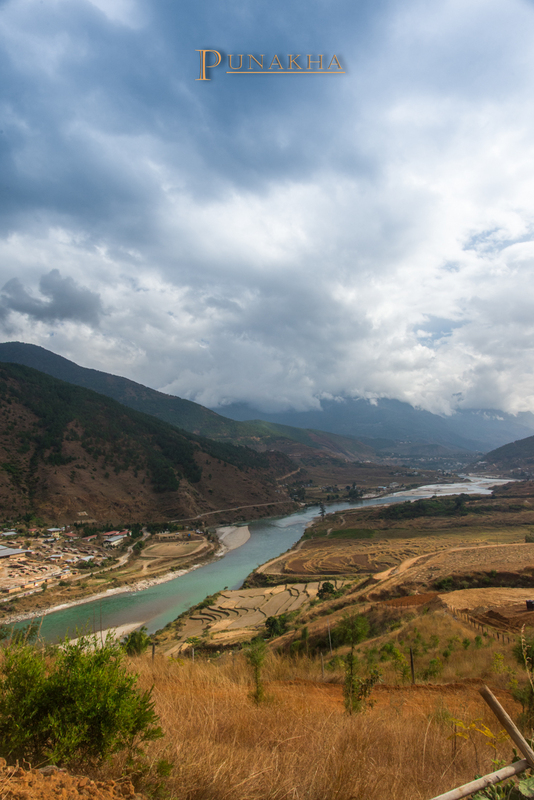 Haa- Nestled 4 hours from Punakha and 2 hours from Paro is this non-touristy valley in the middle of nature with apple trees lining the sides of the roads and hand painted scenery on both sides of the road. Rivers, mountains, lush green fields - everything comes together to an indelible memory of a lifetime. We had lunch at this place! 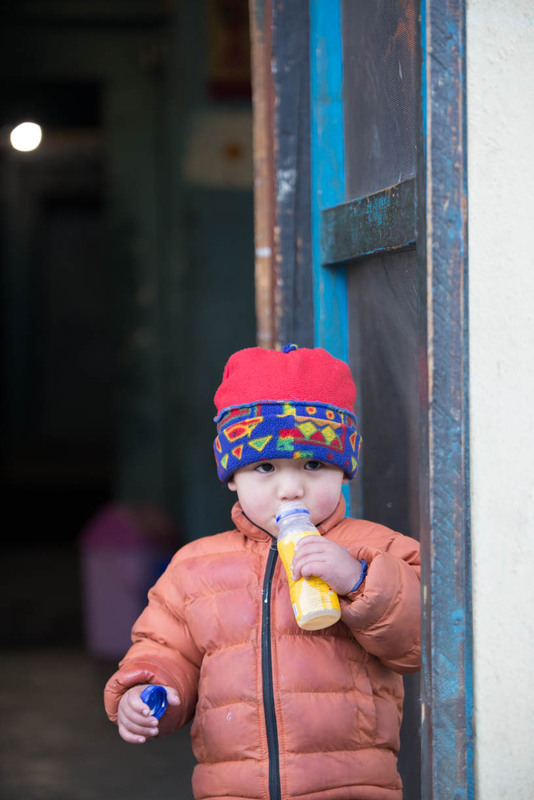 We explored the town of Haa on foot (it’s a very small town) and were met by gazes of curious onlookers. Dinner was at the hotel itself and the very friendly host and the care-takers amazed us with their hospitality. All of us sat by the dining table to engage in a solid 1.5 hours of conversation. It was a cold night and the wind was strong. In a small room we had to put on 2 heaters to keep us warm! 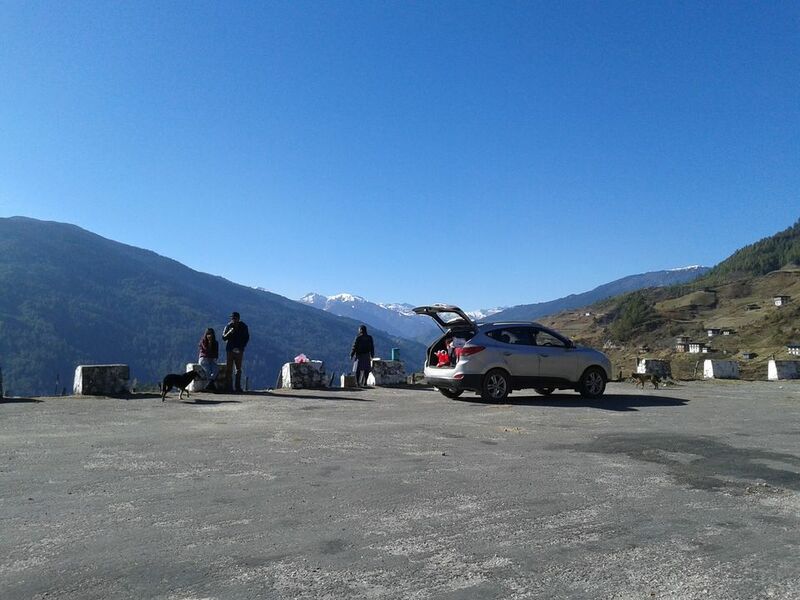 Paro- The drive from Haa to Paro was a memorable one through the Chelala Pass (the highest motorable road in Bhutan). 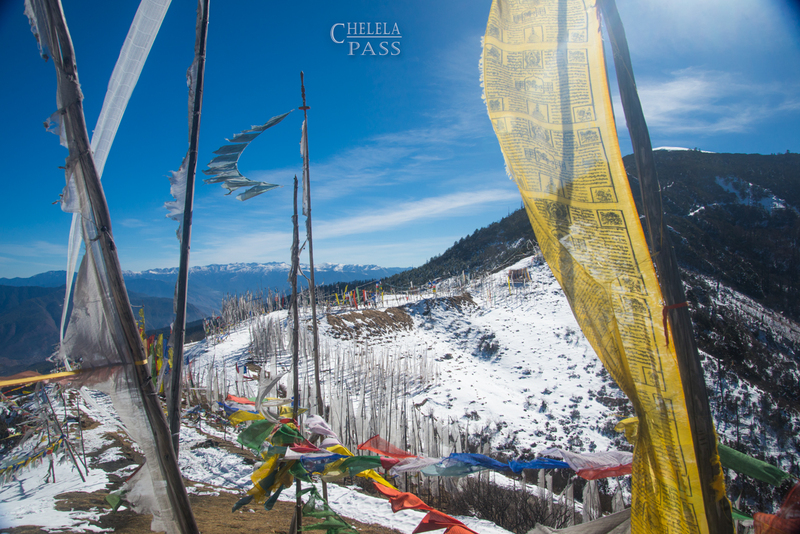 Chelela Pass was full of snow and we had a lot of fun engaging in snowball fights and making a ridiculous looking snowman. It was sunny up there and the air free of any pollution made the sun literally burn our skin. We had to take off our jackets and then too we were sweating with snow all around us. On our way down we met a few monks and clicked some pictures with them. The drive down was a good roller coaster ride with the car stuck in snow at some places and skidding at a few others! We were scared a bit, but our driver and guide soothed our nerves with their jovial talks. We reached our hotel and went out to explore the foot on town. What a picturesque city!!! Complete satisfaction for the heart and mind. The next day we undertook the daunting Tiger's Nest trek. The hike through forests and up the mountains is a really good way to understand the level of unfitness within us! It's best to start early morning before the sun starts shining brightly. Hiking sticks are available on rent at the base from where the hike starts. There is a cafeteria in between where one can rest and freshen up. At the very top nearly 1200 stairs need to be climbed up and down. We had to keep our bags outside since no cameras are allowed inside and we were startled to find that there was no one guarding the bags. A local said that no one is going to take our bags and it’s safe to leave them there. What honesty! Left me speechless! Later at night we were invited for a dinner with our loving travel agent who hosted us and thanked us for being in their country and giving them a chance to extend their hospitality to us. He even gave me a bottle of their local whiskey as a souvenir. Pure humbleness; that is all I can say about the Bhutanese people! Back to India - We packed our bags and left Bhutan with a heavy heart but smiling faces. Our driver and guide exchanged goodwill messages with us and asked us to visit again. We can never forget their warm behavior and hospitality. 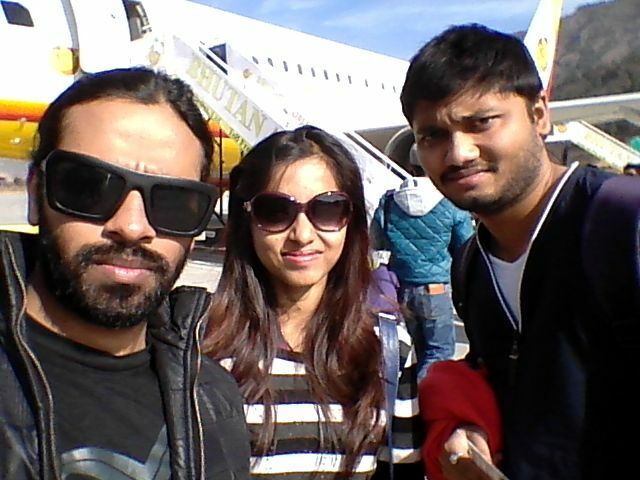 We took our flight (Drukair) from Paro and returned to Kolkata with fond memories and lots of fresh air in our lungs.